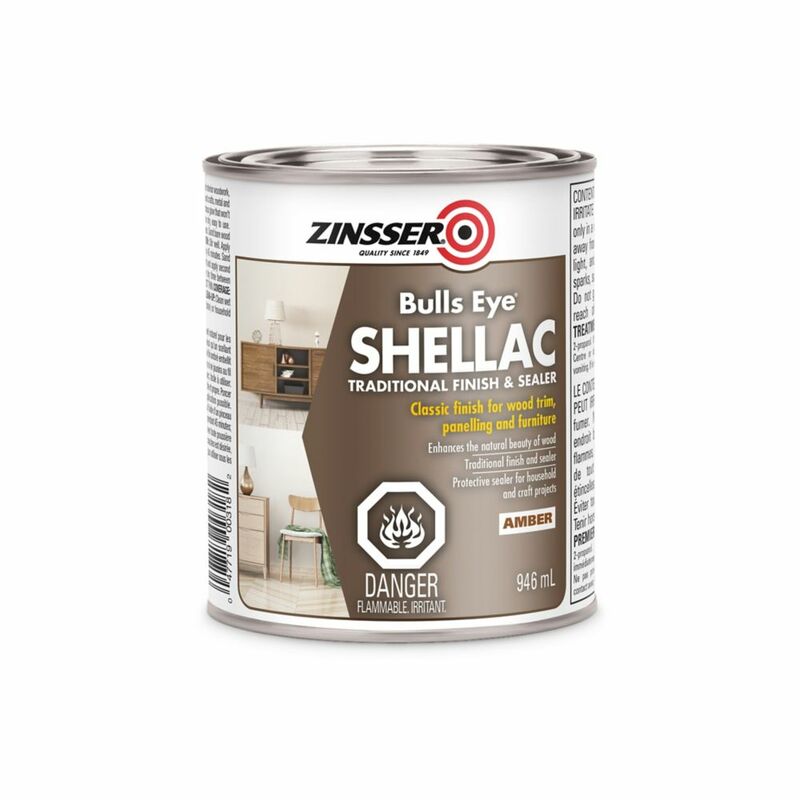 Bring out the natural beauty of wood grain like no other finish can, with Zinsser Bulls Eye Shellac. This finish beautifies wood with a lustrous glow that won't darken or yellow with age. The spray format is perfect for crafts and small projects. Zinsser Bulls Eye Shellac Amber 946ml Bring out the natural beauty of wood grain like no other finish can, with Zinsser Bulls Eye Shellac. This finish beautifies wood with a lustrous glow that won't darken or yellow with age. The spray format is perfect for crafts and small projects.